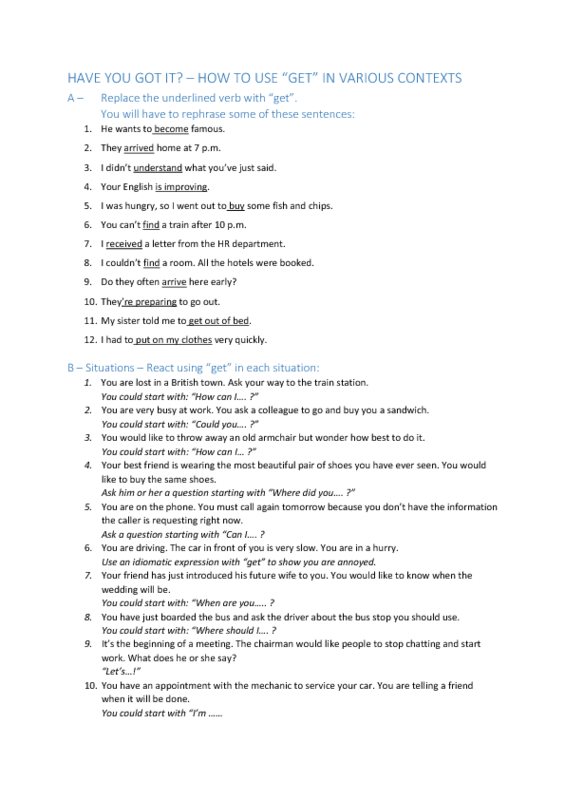 I have made this worksheet to use after teaching different meanings of the verb to get. There are two exercises. The second one could also be used with a group of students. Cut each situation and give a slip to a student or a group of students. Then, you can play a game and see who has the most correct answers.